This is about as far from a bridge in the fog as you can get. Aerialists in lingerie for heaven's sake. 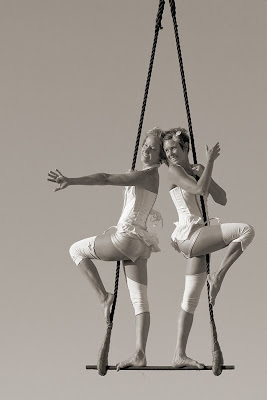 With the sun dropping below the western horizon these ladies performed lofty feats of derring while suspended from a crane-like structure high above the desert.